Progressive Metal is something of a rarity on Frontiers. 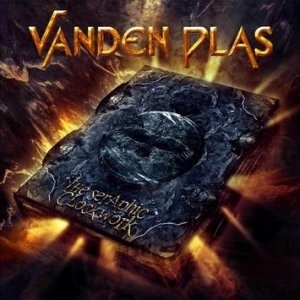 Normally you see them throwing big bucks (perhaps) at established names like Vanden Plas but seldom do you see them giving new prog metal bands a shot. Beyond The Bridge is the exception to this trend though. 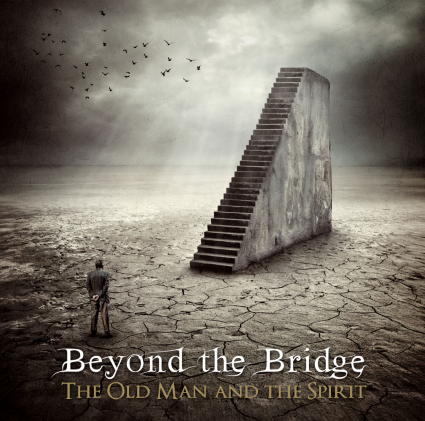 A 7 piece band hailing from Germany, “The Old Man And The Spirit” has been in the works for close to 2008 according to the promo sheet and certainly is well crafted yet is not without its pitfalls. Musically its hard to avoid Dream Theater in prog metal and Beyond The Bridge share a number of musical traits with the American genre leaders. However, vocalist Herbie Langhans is far less grating on the ears than LaBrie and possesses a Lande’ esque tonality, his vocals are paired with the female leads of Dilenya Mar, not the most accomplished female vocalist out there but at least she has an original quality rather than aping the likes of Sharon den Adel. Lead guitarist Peter Degenfeld is not a million miles away from Mr Petrucci with first rate technical ability, yet he also shares Mr Petrucci’s less than exciting guitar tone. Fabian Maier handles the drums with equal apblomb and knows when to lay off the flash and groove so extra marks here. Highlights come in the guise of opener “The Call” which is a strong first track, good melodies and nice chord progressions. “The Apparition” follows and is a very enjoyable 8 minute ride, dark with good melodies and nice musical interludes. “Doorway To Salvation” is a high energy up-tempo number with some 7 string riffery and reminds a little of Adagio at the start before progressing through some different areas. All is not great though, the poppier textures of “World Of Wonders” is just a little too twee, clichéd and lacking in staying power. Likewise “The Struggle” features some quite dreadful vocals, supposedly two sides of a personality in conflict one suspects, but its effect to these ears is somewhat annoying, and “Where The Earth & Sky Meet” is a slushy power ballad, the likes of which Dream Theater gave up on after Another Day. Indeed it’s the second half of the album is where my interest seriously started to wane, as highlighted by the tracks in previous paragraph. Its here you feel the band got a little too bogged down in the story telling and, well, went a little too far up their own arses for their own good. You can see where the albums 3 year creation process went, ultimately the album comes across as overly long, overly intricate (and not in a good way for a prog metal release) and ultimately sees it loose marks. There is no denying that Beyond The Bridge do have the tools to be able to make a great album, this is halfway towards that, and whilst the weaker moments are a little too frequent when its good, its very good. Overall, one to watch and hopefully Frontiers will give the band time to grow and not look for an overnight success. This entry was posted in Reviews and tagged Beyond The Bridge, Dream Theater, Frontiers Records, Progressive metal, The Old Man And The Spirit, Vanden Plas. Bookmark the permalink. Second reissue CP reissue from Lion Music in a run that sees parts 1 to 4 get a remaster + bonus tracks reissue. 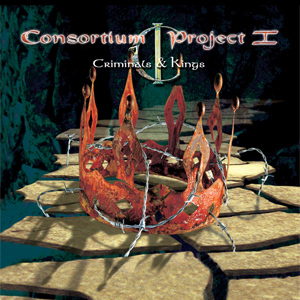 As with all albums in the series, Consortium Project is a prog power metal delight led by the leather lungs of Ian Parry (Elegy). Backed by an all star cast including members of Vanden Plas, Kamelot and Elegy this is again good quality stuff not a million miles away from the sound heard on CP1 ‘Criminals & Kings’. If you like your metal bombastic and epic this is definitely for you. Stand out cuts come in the likes of the opening title track, the absolutely crushing “The Catalyst” which marrys massive riffs, lush keyboard orchestrations and a healthy dose of melody from Parry. Yet the albums piece-de-resistance is the progressive treat that is “Lapse Of Reason” which sees melody to the fore over great chord changes and its reason enough to buy the album. Continuum In Extremis offers up another slice of high quality metal and if you’ve yet to check out the band this is as good a place as any to start. 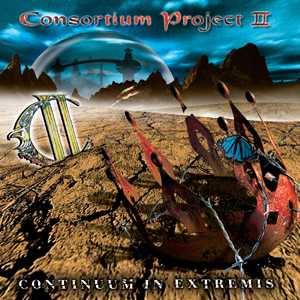 This entry was posted in Reviews and tagged Consortium Project, Continuum In Extremis, Elegy, Ian Parry, Kamelot, Lion Music, Vanden Plas. Bookmark the permalink. 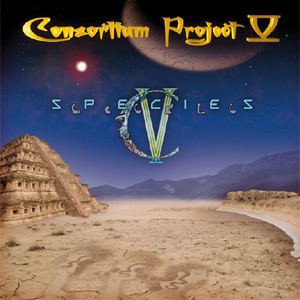 First of Lion Music’s expanded and remastered reissues of the Consortium Project back catalogue which follows on from their release of the bands final outing “Species” earlier in 2011. Led by vocalist and mastermind Ian Parry this is a hard striking effort from 1999 shortly after Parry left progressive metallers Elegy and this release follows in a similar vein. Guitar work comes from the highly reliable roster of Stephan Lill (Vanden Plas), Patrick Rondat (Elegy) and Thomas Youngblood (Kamelot). Opener “House Of Cards” sets the scene in blistering fashion, a great opening track driven by a powerful riff and powerered along further by the leather lungs of Parry. The metal assault continues for “Banquet Of Thieves” before the commercial punch of “Evilworld” with another blistering riff is another highlight, and this is how it continues pretty much unabated for the rest of the release. Strong powerful metal tracks with excellent performances with the extra spice of Parry’s vocals to take them over the edge. Some respite from the full on metal assault if needed can be found in the instrumental “The Entity”, the power ballad of “A Miracle Is All We Need” and the upbeat pomp rock of “Chain Of Fear” so there is a nice dose of variety on offer. It has to be said though that this is gripping stuff pretty much from start to finish. As the added incentive we get 2 bonus tracks in an acoustic version of “A Miracle Is All We Need” and a cooking demo version of “Evilworld”. By no means making the album they are nice additions none-the-less. Backed by a strong production which is arguably more classic than that heard on “Species”, this is an excellent debut and starting block for the Consortium Project story. If you like your metal on the intelligent side with powerful bold performances look no further. This entry was posted in Reviews and tagged Consortium Project, Criminals & Kings, Ian Parry, Kamelot, Lion Music, Patrick Rondat, Stephan Lill, Thomas Youngblood, Vanden Plas. Bookmark the permalink. 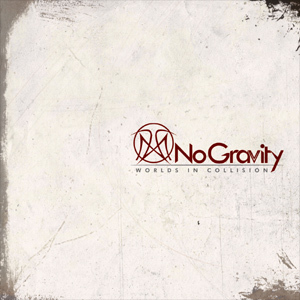 No Gravity are a new progressive power metal outfit and the brainchild of renowned guitarist Simone Fiorletta. Their debut release ‘Worlds In Collision’ features some of the most illustrious vocalists in the Italian power/prog metal field with Michele Luppi (Killing Touch, ex Vision Divine), Fabio Lione (Rhapsody Of Fire, Vision Divine), Mark Basile (DGM), Roberto Tiranti (Labyrinth) and Emiliano Germani (Moonlight Comedy), along with German Andy Kuntz (Vanden Plas) providing the vocal angle. Fiorletta may of ( it could be argued) played it safe by allowing the vocalists to devise their own melodies and lyrics, but this could also be seen as a wise move as you are essentially getting trademark performances from all involved. To label the album notable for its vocalists alone is however doing a disservice to the music on offer, which whilst mostly progressive is also heavy with even some modern techno elements. Instrumental leads are perhaps not quite as forthcoming as one would expect from a guitarist of Fiorletta’s stature despite 8 of the 9 tracks clocking in at over the 5 minute mark, so full compliments to Simone for delivering a strong song based release. Highlights come in the guise of “The Killer”, the middle east tinged “Religious Beliefs” and the Andy Kuntz led “Can’t Dream Anymore” which will please all Vanden Plas fans immensely; yet all track serve up enjoyable moments. Shortcomings? I preferred Fiorletta guitar tone on Moonlight Comedy’s “Dorothy” album, and the production is a little raw in places but otherwise it’s a solid effort from start to finish. The host of guest vocalists is initially bound to draw intrigue from fans, yet ultimately No Gravity serve up an identifiable sound no matter who the singer on “Worlds In Collision”, which overall is a very good foundation to build on with future releases. This entry was posted in Reviews and tagged Andy Kuntz, Fabio Lione, No Gravity, Power metal, review, Rhapsody Of Fire, Simone Fiorletta, Vanden Plas, Worlds In Collision. Bookmark the permalink. The German melodic progressive metallers are one of the longest running bands on the scene, with a pedigree of delivering quality output. Their last effort “Christ O” was arguably their best and their new effort has just seen the light of day on Frontiers Records. Once again a concept is in place with story written by vocalist Andy Kuntz and tells about a journey in time. With the main protagonist, who lives in 16th century Rome, coming under the spell of an Old Testament prophecy. He travels back to Jerusalem in the year 33 anno Domini where he must face his God-given destiny. Its all quite intense stuff but luckily you don’t need to follow the story to enjoy the album. “The Seraphic Clockwork” could be described as text book Vanden Plas – Heavy riffs, elaborate keyboard and orchestra arrangements plus catchy hook lines come together in a very strong manner. However, for the first time I feel a little outside influences coming into the fray from the at times Symphony X-ish feel of opener “Frequency”. “Holes In The Sky” is fuelled by an opening riff not a million miles from Dream Theater’s “Pull Me Under” but it’s moves into its own territory and is arguably a highlight. “Scar Of An Angel” sees the pace drop a little but is a classy melodic number, the riff count is kept high in “Sound Of Blood” (another highlight) whilst “The Final Murder” sees great use light and shade and is classic Vanden Plas in every sense. The more morose “Quicksilver” plods along until halfway through when a nice acoustic guitar motif breathes some life into the track which then builds into a very nice offering. The ten minutes of “Rush Of Silence” are well served whilst the epic of the album “On My Way To Jerusalem” is another highlight, yet one that takes a few listens to fully reveal itself. The bonus track of “Eleyson” is unfortunately nothing to get too excited about lacking the class and feel of its predecessors but then as not part of the actual concept we’ll overlook this one. Overall Vanden Plas have delivered another fine effort. Whilst maybe not as good as “Christ O” to these ears it may well achieve that distinction with further listens. However it shows a band that deserves to be better known and hopefully Frontiers can push the band towards a new audience. The album is home to a strong powerful production with good performances from all involved. A very strong return after a 4 year absence and a recommended purchase for melodic progressive metal fans. This entry was posted in Reviews and tagged Andy Kuntz, Christ O, Frontiers Records, Jerusalem, Old Testament, Progressive metal, The Seraphic Clockwork, Vanden Plas. Bookmark the permalink. Haken are a rarity in that that are a virtuosic progressive rock/ metal band from England, normally us Brits go for stuff much more obvious and trend driven so its nice to be able to assess something from my homeland in one of my favourite genres. Aquarius is the bands debut release –and as you might expect for a prog band its a 7 track 72 minute, larger than life conceptual sci-fi/fantasy work brought to us by the Sensory label. Led by the enigmatic vocals of Ross Jennings, the music is heavy coming across as a mix of Vanden Plas and Symphony X in the heavier segments, with the more esoteric instrumental stylings of Transatlantic. No doubt some critics will want to market the band as a UK Dream Theater but these would be quite wide of the mark to these ears as this features a much more diverse sound, one might say all encompassing with its jazz and fusion leanings in places. The opening trio of tracks all clock in over the 10 minute mark each so the band make their prog credententials known right from the off, luckily the music is enjoyable but quite often falls into the ‘where’s the song?’ category. That said ‘Eternal Rain’ does come close with its more traditional song structure. A little fine tuning, or perhaps critical appraisal from within the bands ranks of what is really needed in the songs overall would pay dividends if they wish to draw in the more casual listener, but prog fans as a whole should enjoy the barrage of musicality – if not the occasional grunted vocals. ‘Drowning In The Flood’ reminded me somewhat of the music on the Sphere Of Souls debut which is no bad thing either. Sonically the album is one of the better efforts from the Sensory label of late, being mostly clear and mud free in the mix department – which is essential for maximum enjoyment in this genre. 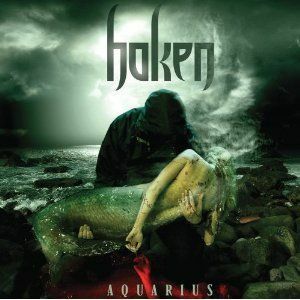 Overall Haken have come up with a solid debut in ‘Aquarius’ and may just kick start a renaissance of original progressive music in the UK. A nice start. This entry was posted in Reviews and tagged Dream Theater, England, Flood, Haken, Music, Musical ensemble, Progressive rock, Symphony X, Vanden Plas. Bookmark the permalink.